Wetlands are swaths of territory that have an abundance of aquatic life, water, and plants. Many of these species of animals and plants have evolved to life in a eco-system that is aquatic. These zones play host to exotic creatures such as: gators, turtles, lizards, and fish. However, they are dwindling across the world and the public should be proactive in protecting these areas of life because once they are gone they are gone. The biggest danger facing marshes is the encroachment of human civilization. As the suburbs expand into the wilderness more and more fresh water marshes are destroyed. 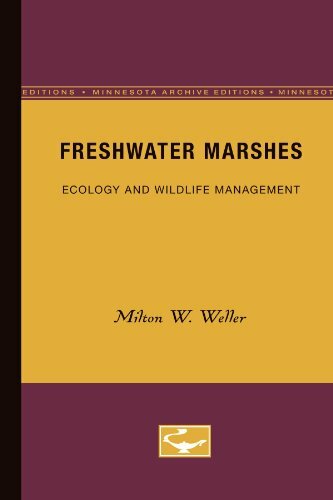 However, before we begin our primer on fresh water marshes it is important to understand the difference between wetlands. There are three main types of wetlands: swamps, bogs, and marshes. Each ecosystem (swamps, bogs, and marshes) can further be divided into smaller eco-systems. This is true with Marshes which is a type of wetland and there are two sub eco-systems. These eco-systems are freshwater and saltwater marshes. This article will examine different types of freshwater marshes and the danger posed to them by human civilization. Don't get too close or he might bite your finger! Wetland ecosystems are divided between marshes, bogs, and swamps, but even these sub eco-systems have varying differences. There are several different types of swamps and this depends on longitude and latitude. Where the marsh is in the world could be indicative of what type of marsh it will be. If the marsh is in an area of the world that is along an oceanic coastline then it most likely will be a salt water marsh. Salt water marshes will have a different eco-system than a fresh water marsh. Salt water marshes usually have grass that is salt tolerant whereas fresh water marshes have their own unique infrastructure. Fresh water marshes are areas that have a wide diversity of animals and plants unlike salt water marshes. However, fresh water marshes are more threatened than salt water marshes mainly because in the United States a lot of coastline is protected, but fresh water marsh (inland) marshes are often threatened by cities. A freshwater marsh and to a lesser extent a saltwater marsh is an area of land that is covered in a specific type of plant. Swamps are covered with trees, bogs have peat, and marshes are full of tall grass, reeds, and brush. The type of plants are commonly referred to as herbaceous plants. These plants have a small stem and leaf. There are no wooden stems attached to herbaceous plants as they are 100% organic. Usually the best place to find a marsh with herbaceous plants is near an aquatic area. This is because marshes tend to make up "nature's" transition from water to land. The types of plants found in a marsh reflect this balance as they are able to survive in water and on land. herbaceous plants tend to dominate these areas, but it is not uncommon to find small traces of wood. Because of the nature of marshes, the transitory nature, plants with wooden parts are not usually present, but like I previously stated it is not out of the realm of possibility. There are several different types of inland, fresh watermarshes. These include: wet meadows, vernal pools, dry lakes, and prairie potholes. Another creature of the freshwater marsh. The constant observers of nature! Wet Meadows form in shallow lake basins. However, they also form in different places not just in former lake basins. Dried riverbeds, dried pounds, previously damned areas. These are common places to look for a wet meadow. Additionally, they can also exist near the fringes of water bodies. These areas are commonly flooded or are accustomed to water runoff. Wet Meadows have plant and animal diversity. However, the danger to these areas is that they can be overly flooded during the raining season. Vernal Pools are seasonal marshes found in lowland areas. Often times these pools are aquatic based on the seasonal cycle of nature. When it is the summer these areas are dry, but during the fall and spring these areas can be aquatic. These areas are host to amphibian creatures such as the endangered gopher frog. These regions are freshwater marshes that occur in the souther mid-west plains of the United States. Like the previous freshwater marshes covered in the primer they are aquatic zones that are based around freshwater life. They are similar to vernal pools in that they are seasonal and often dry during the summer period. As the water dries, plants grow along the shoreline. Saltwater Marshes are not as endangered as freshwater marshes. This is because these areas exist in areas that are close to the ocean and not well suited for human development. They are also much more common than freshwater marshes. Saltwater zones are protected in a way simply because of their location. The animals and plants that exist in these areas are tolerant to saltwater and can only exist in these locations. Did you know that the world has lost 90% of the wetlands? Unfortunately as humanity grows the beauty of the environment is shrinking. For examples, the wetlands are being destroyed as mega-cities form and expand outward. This is primarily a problem along the East Coast of the United States. Major cities are a problem because they engulf an area and continually expand outwards. The main city may not be expanding, but suburbs are expanding. Northern Virginia for example is booming because the area is so close to the nation's capital and is needed for employees so they can transition to work in a timely fashion. We have to be careful and work to preserve wetlands. Marshes are dwindling in the United States. So don't be shy. Reach out there and do something in your community to try and save a precious marsh!